I think it’s probably not so bad if it’s shared by a group of five or six as it was meant to be, and not eaten by one person alone. The Burger Pizza is available in the US but only in the Times Square Whopper Bar. Clickhere for more info. So, I guess that’s why it’s called the “NY Pizza Burger“. Why is it only available in NYC, I wonder. Apparently they thought this burger would be a fitting tribute to NYC, God only knows why! I’m actually from London but a friend of mine is in NYC for Christmas and has promised me a video review of this monstrosity for the blog when he returns. Let me know when you put it online! And here I thought you were referring to a burger with pizza topping on it (mozzarella cheese, tomato sauce, pepperonis, etc). But a burger that’s the size and shape of a pizza? I’m honestly surprised that we don’t have that here in the states. If Burger King in the U.S. sold the “Pizza Burger”, would you try it? This looks like an interesting idea, but I’m a little skeptical at the taste. 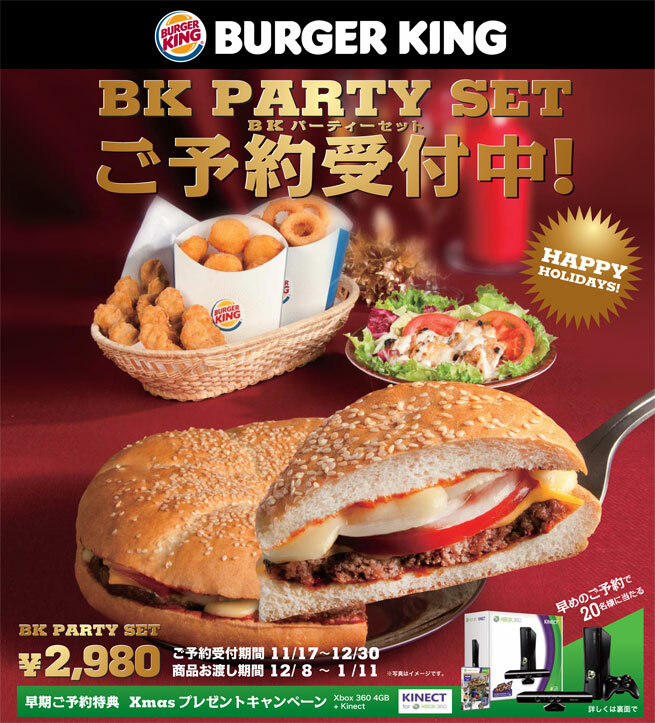 I’d try it if we had a BK in Sendai. I’m the other way around. I can easily go to Burger King here in Tokyo…but I think it’s too overpriced, so I never do.